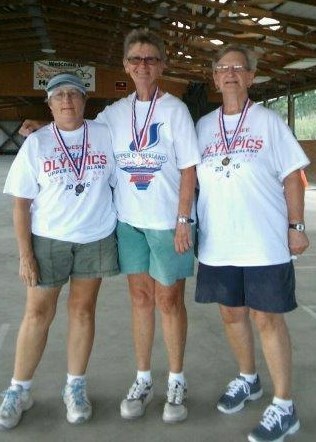 JoAnn Stanford (center) won Gold Medal in her age class at the 2016 Tennessee Senior Olympics in Franklin. She has qualified for the 2017 National Senior Olympics in Birmingham. 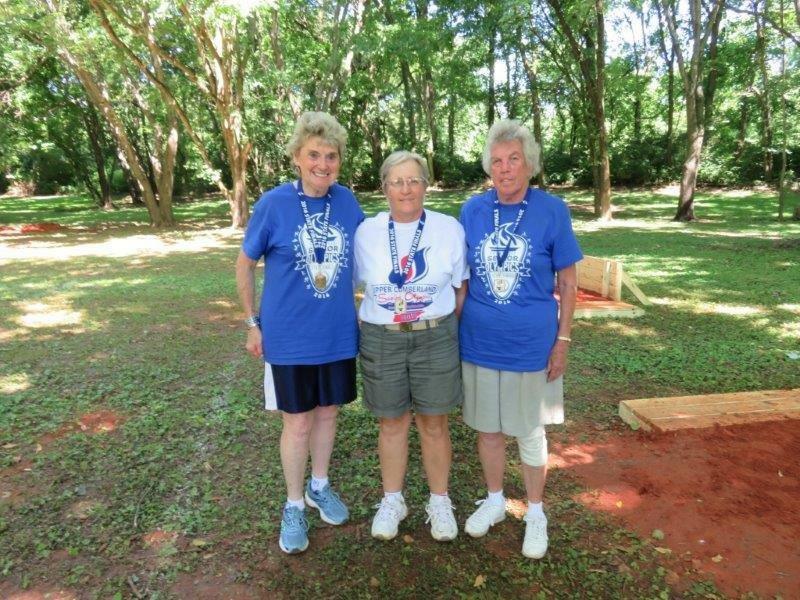 149 Stanford JoAnne F " 2nd Silver "
58 Hill Fannie F " 3rd Bronze "
134 McWhorter Geneva F " 2nd Silver "
* Crossville Horseshoe Club Members - See Club Photo page for Pics. 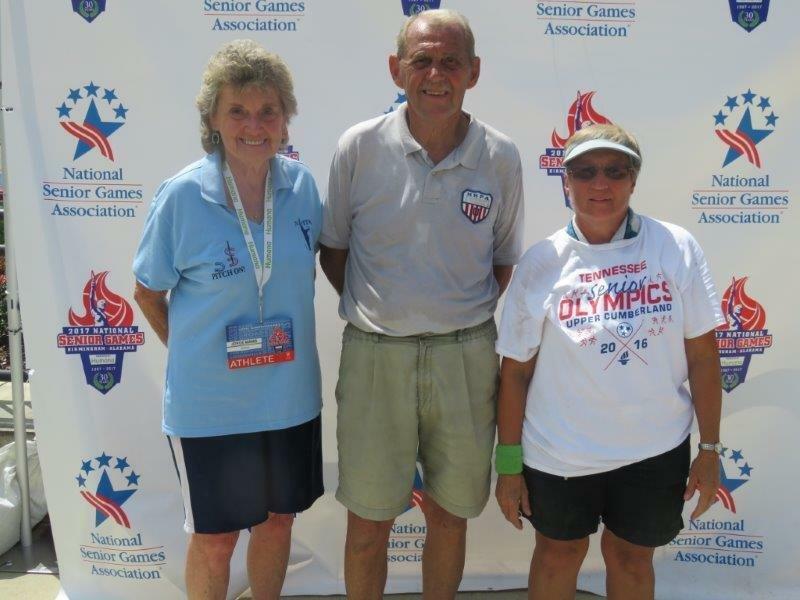 Don Falkenhagen of the Crossville Horseshoe Club won a Gold Medal in the Men's 75-79 Age Group at the 2013 Senior Olympic Games at Franklin, Tennessee.